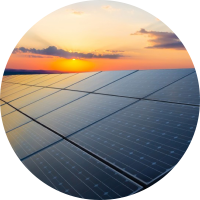 For Energy Farm projects, large and commercial Solar PV are recommended as they make the projects more cost effective and economical. WES offers high-quality solar power systems. These configurable high efficiency panels have been extensively tested for durability and performance by our in-house experts. WES solar PV panels are available in standard or special order packages consisting of the solar panels (small or industrial sizes), inverter(s) and installation materials. Our panels can be installed on land, tile roofs, corrugated iron roofs, flat roofs and vertical facades. These panels offer you total flexibility for all kind of installation possibilities. Thank you for contacting Wawa Energy Solutions. You request will be dealt with in due course! Thank you for your interest in Wawa Energy Solutions, Ltd. Copyright © 2019 WAWA Energy Solutions Ltd.